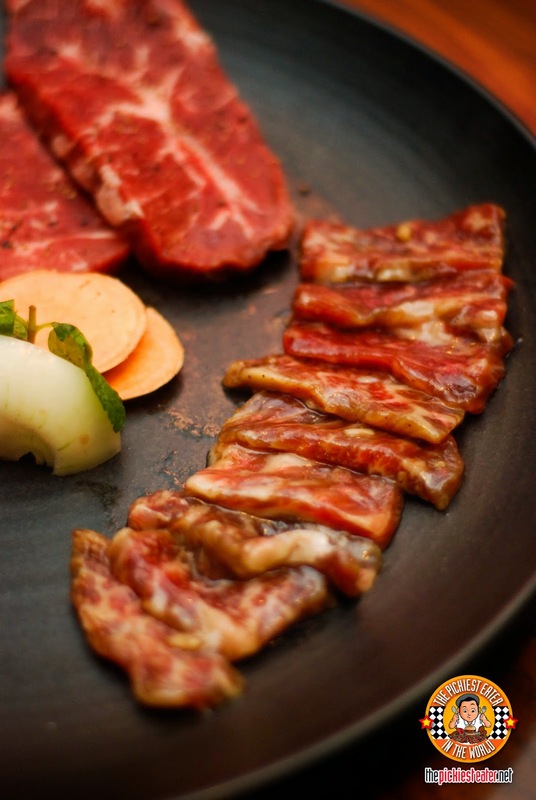 THE PICKIEST EATER IN THE WORLD: BULGOGI BROTHERS 7 NEW KOREAN CLASSICS! Like soups for example. The new Ginseng Chicken Soup (P395) is very hearty and warms up the tummy really well. 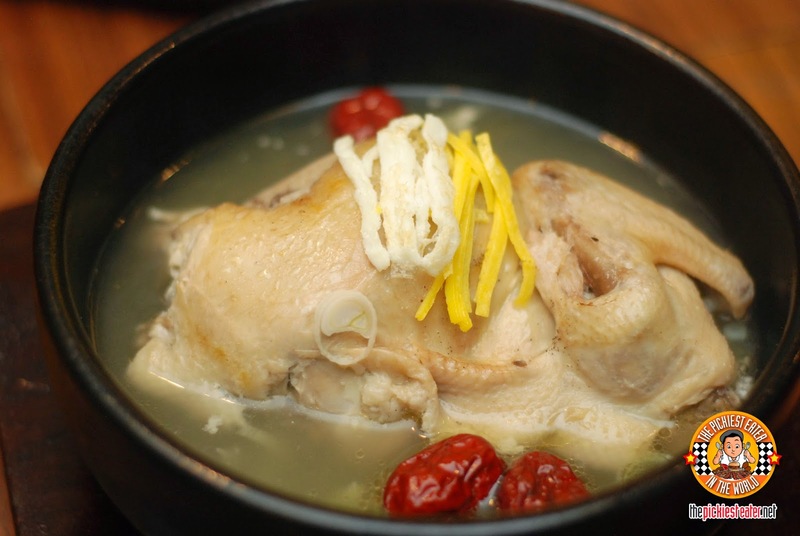 The soup is a delicious warm mix of chicken soup with a touch of ginseng. I imagine this would be a great get-well-soon food. 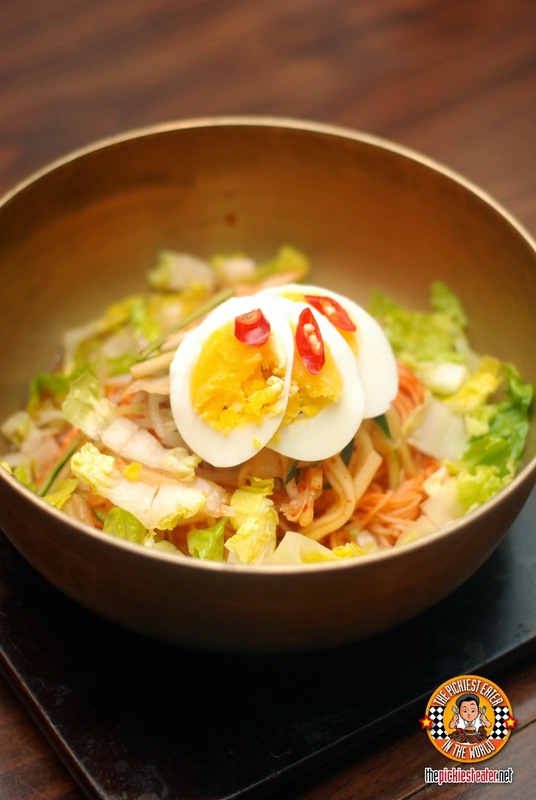 They also have a new cold noodle dish. I'm not so fond of cold noodles. And this Spicy Cold Noodles (P225) was not an exception. At first bite, you'll think it's sweet but then the heat comes kicking in. Hard! Or at least for me it was too spicy. 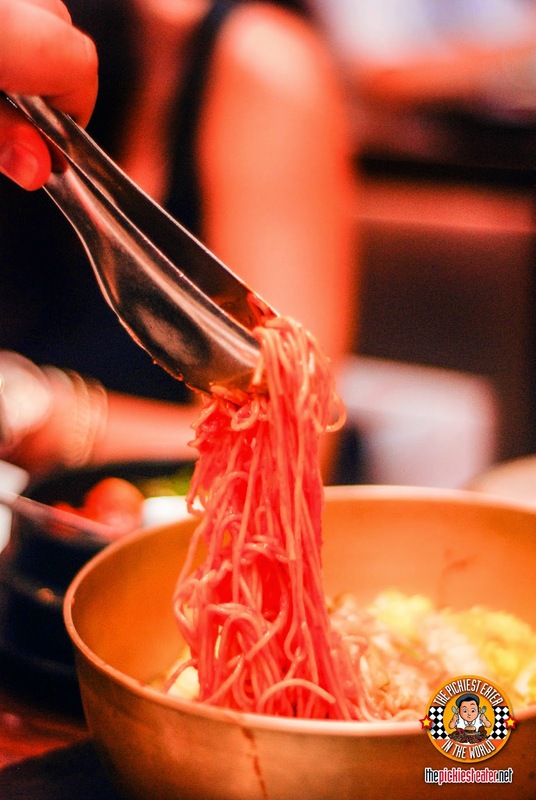 But fans of super spicy food or fans of cold noodles will appreciate this for sure. Different textures and spices all in one bowl. The Spicy Rice Cakes (P150) is a popular snack in Korea and they're now serving it in Bulgogi Brothers. 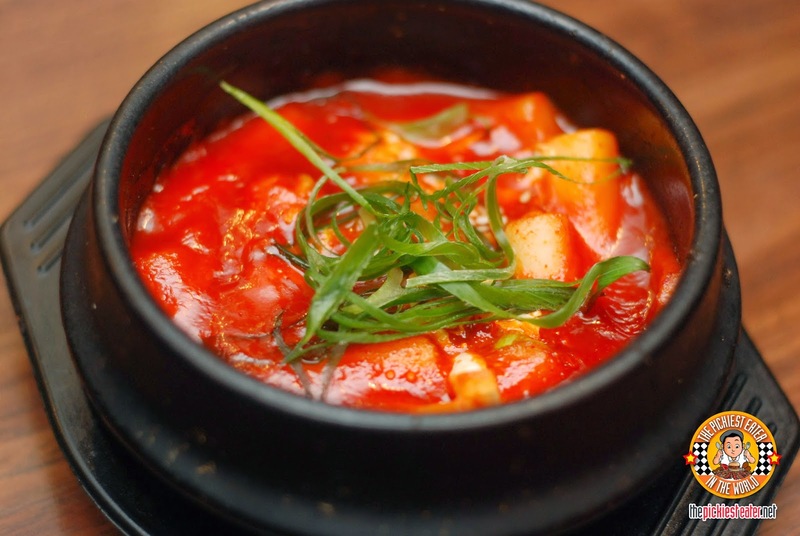 They're soft and chewy rice cakes drenched in a sweet and spicy sauce. This is one of those traitor dishes wherein at first bite you think it's sweet. But then the heat comes rushing in. The heat is too high for my liking. 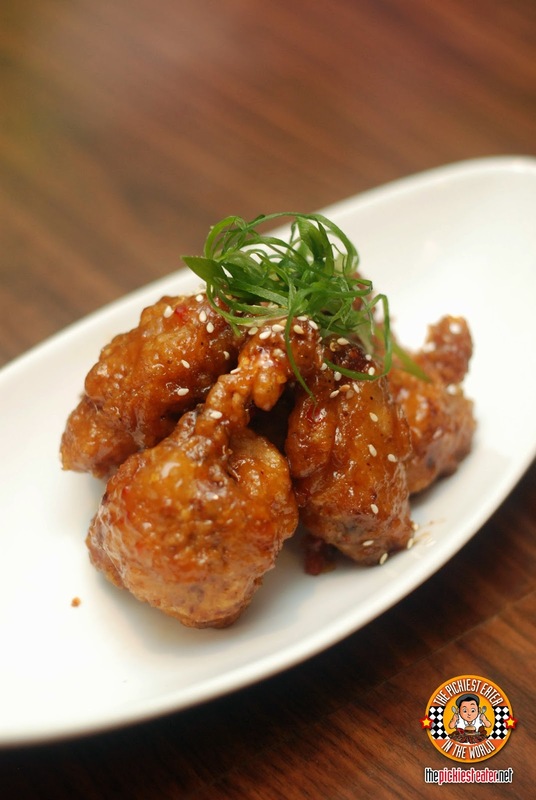 The Crisp Chicken Wings (P350) are perfectly fried chicken glazed in a sweet and spicy coating that I couldn't get enough of. The heat was stronger than it's sweetness but for me that's what made it more addicting. Perfect with their sticky steaming white rice. And now, the meat! 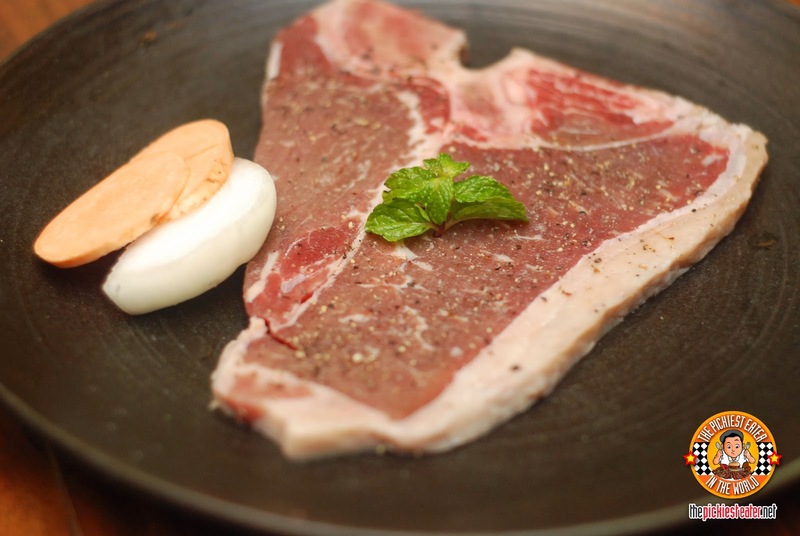 The T-Bone Steak (P995 250 grams) is the perfect bet for meatlovers. Certified Angus Beef that melts in your mouth! And they cook this baby right on your table! 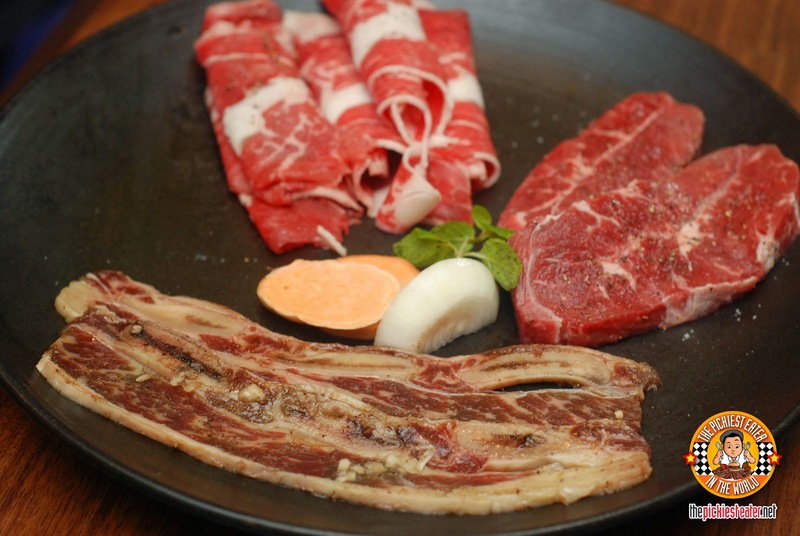 The L.A. Galbi Ribs (P595) is a plate full of L.A. Galbi ribs goodness!I love the meat and fat ratio on this. 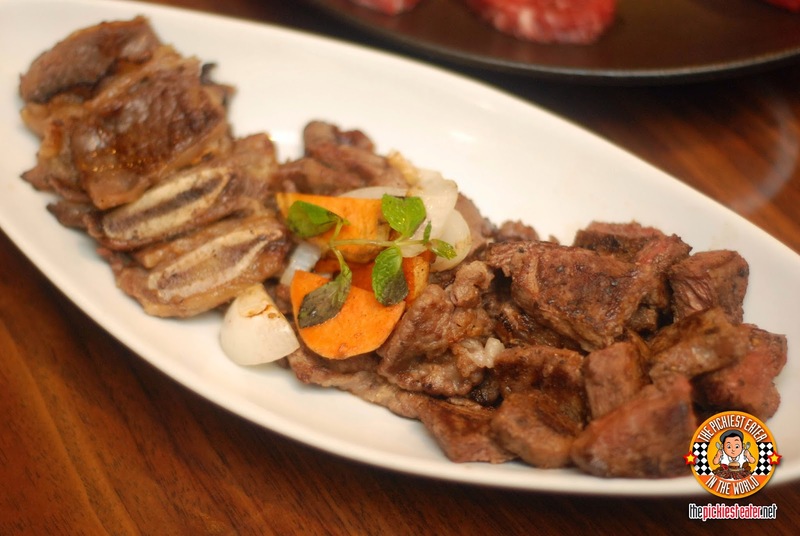 Their new Striploin and Boneless Short Ribs Combination (P995) is a plate showcasing different cuts of premium beef. 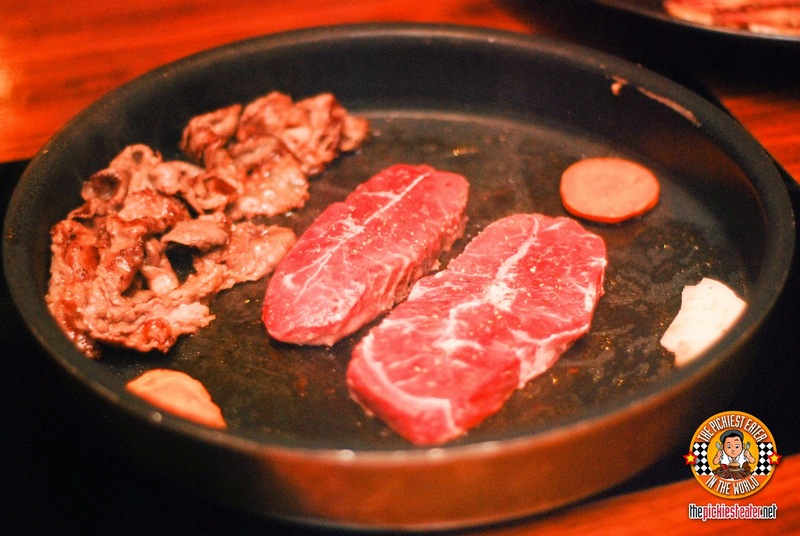 Again, all of which will be cooked right on your table by your friendly Bulgogi waitress! I've said it before and I'll say it again... Their barbecue is so perfect with their sticky rice! Like Bulgogi Brothers on Facebook and follow them on twitter and Instragram (@BulgogiBrosPh to get updates on their upcoming new dishes! Feel free to hashtag #BulgogiPh # BulgogiBros#Ph, #7NewKoreanClassics! 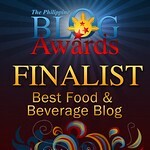 And check out their official website: www.bulgogibrothers.com.ph. 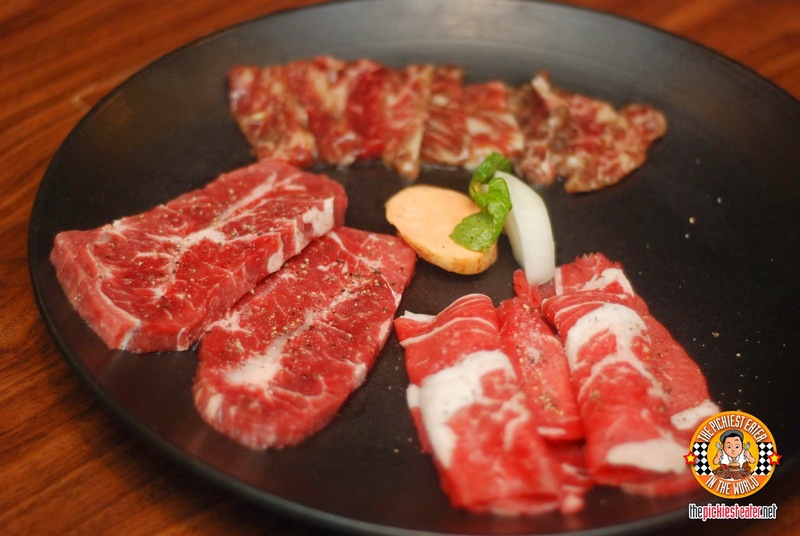 Bulgogi Brothers are located at Greenbelt 5, Alabang Town Center, and SM Mall of Asia.